We invite you to join us in the opening of the visitor & learning arcade with the launch of the exciting Dreamland Expo: a past, present and future on Sunday 25 May 2014 at 2pm. The local community, Dreamland supporters and volunteers held a glittering celebrity art auction in the former Grade II*-listed cinema amusement arcade last November to raise funds open a visitor & learning arcade in the lead up to Dreamland’s Phase One opening in 2015. Volunteers have been working tirelessly to transform this space into an interactive and immersive exhibition evoking the atmosphere of Dreamland, charting the revival of one of the UK’s best loved amusement parks and looking forward to things to come. 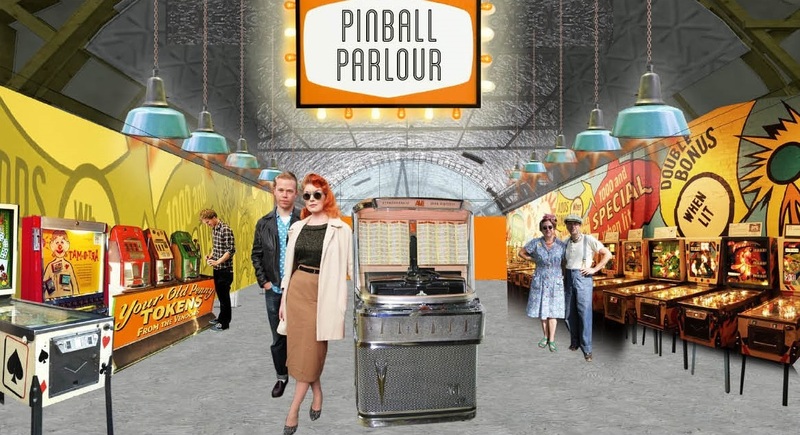 Come one, come all – family fun and games including the pinball museum, face painting, ice cream, Nick Evans book signing, archive film screenings, tunes and dancing if the fancy takes you. On Bank Holiday Monday, The Arcade will be celebrating the 50th anniversary of Margate’s infamous youth culture clash with an all-dayer and a chance to win Fred Perry’s Margate on the Run T shirts. The exhibition is free entry and will be open every day from 10am until 5pm with occasional fund raising music events, film screenings, presentations and activities throughout the year.